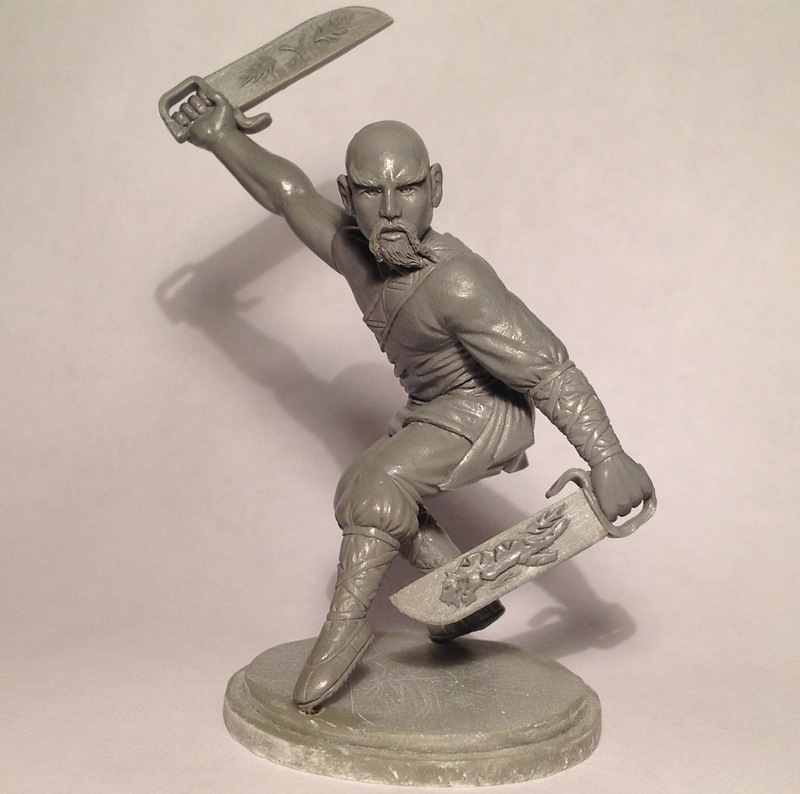 Thief for Hammer and Forge! 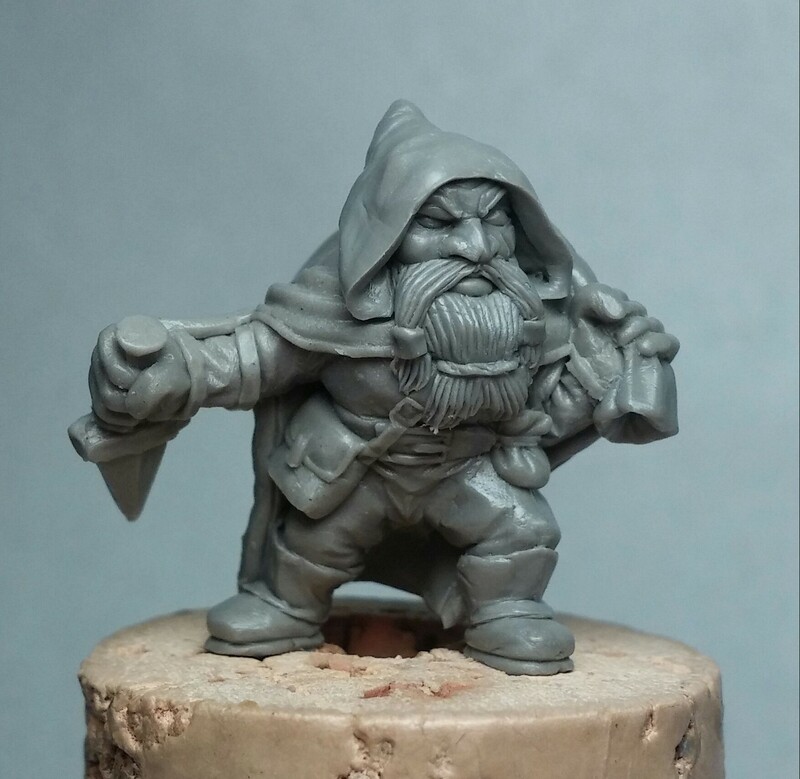 This is one of the many dwarves for Ganesha Games “Hammer and Forge” expansion. Figures Will be released in Feb. 2016. Hammer and Forge goes live!!! It hasn’t even been 24 hours and they’ve already funded and unlocked the first stretch goal. 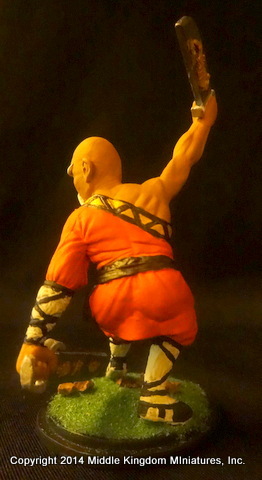 Above: a small sampling of the dwarves I’ve sculpted. 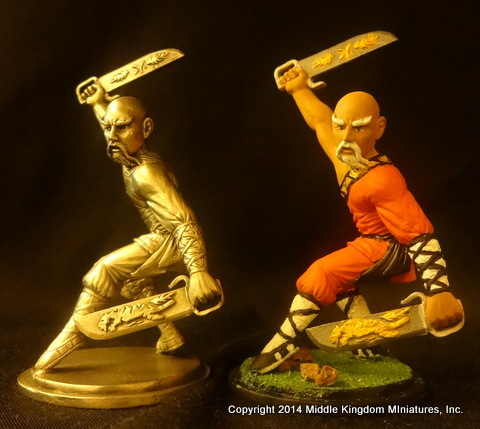 Not many metal figures come pre-painted. 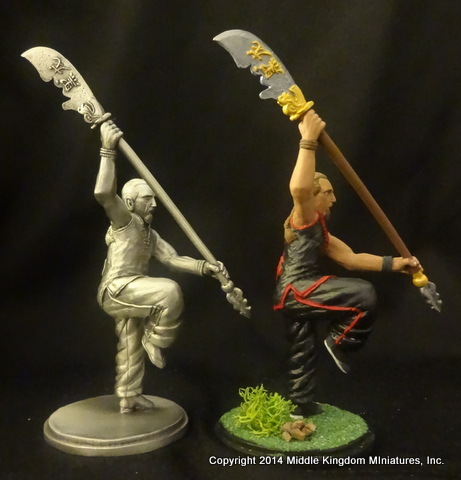 Most companies don’t offer them that way, but Middle Kingdom Miniatures does! 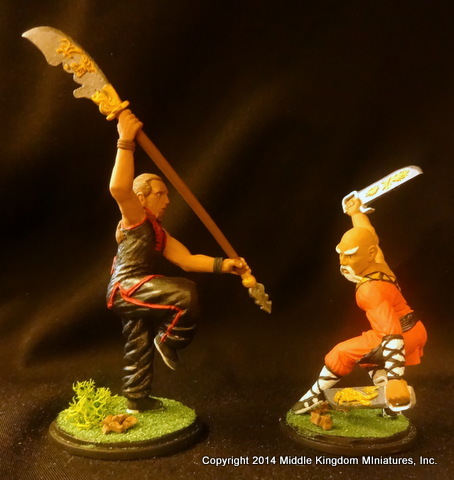 These are a few of the 72mm figures I’ve done that are offered fully painted. 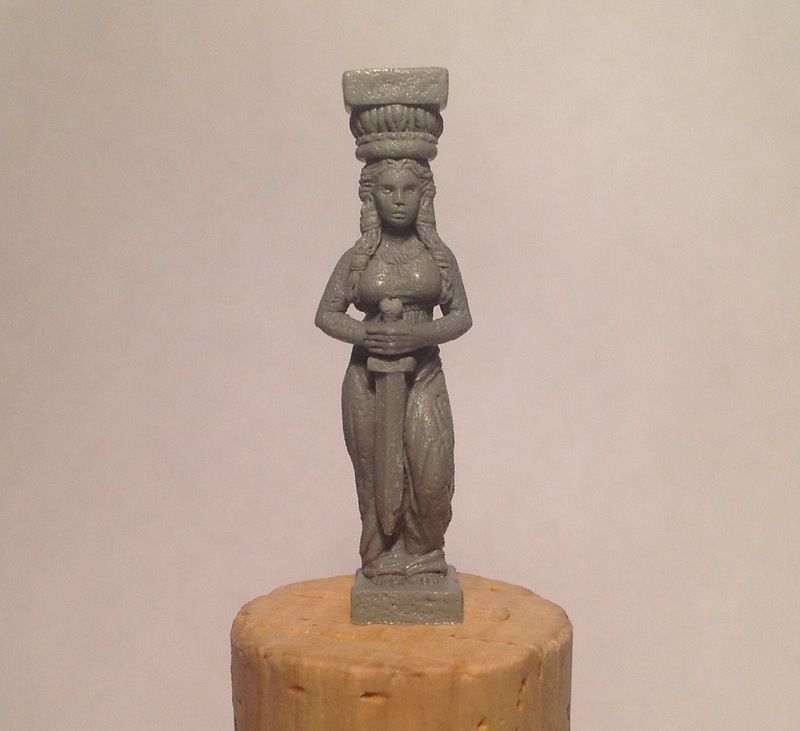 I recently sculpted a Caryatid column for Center Stage Miniatures’ Kickstarter. 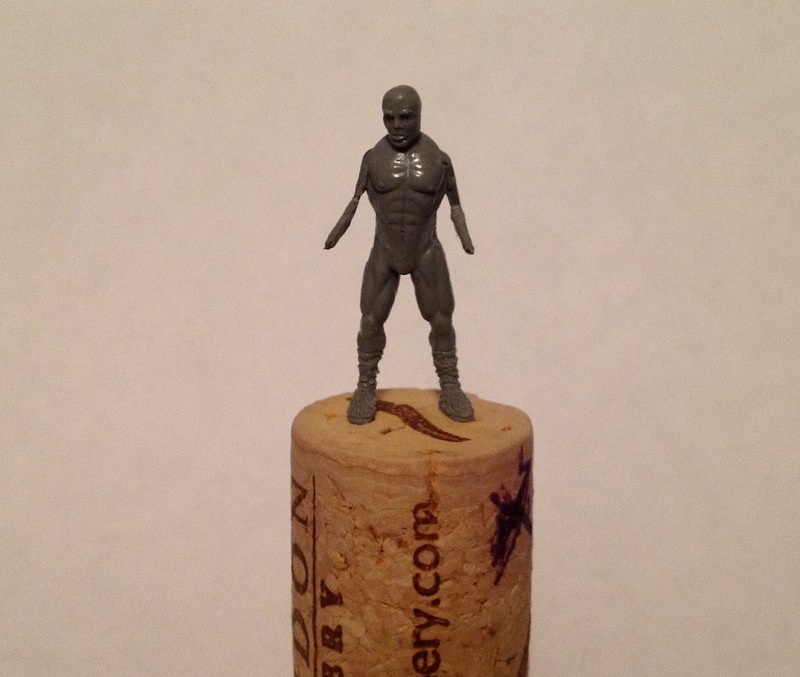 It is a 28mm sculpt standing at 35mm with the bottom and top of the column about the head and below the feet. I cut some wire. 0.23 gauge steel wire is what I use. Most professionals don’t use such a strong wire, but I prefer to spend more time posing my frame in frustration, knowing it’s not budging at all later, than bending it in place quickly with a chance to break something off or move it from where it started. The bent piece is 7 inches and the small one is about 1-2 inches. I twist them together to make the frame, then I put some procreate sculptors putty on it to hold it in place. 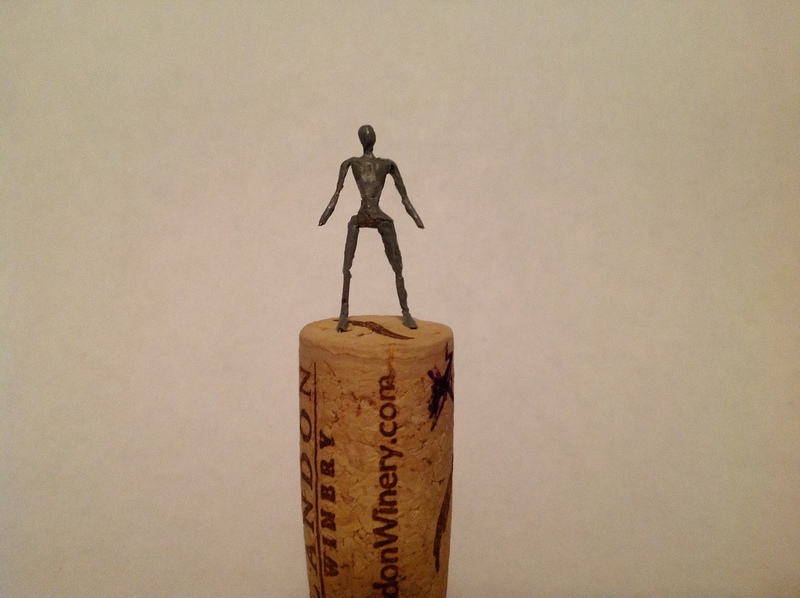 After I have my wire frame (aka armature) I pose it to the way I want it and I stick it in a cork. The cork provides a way to hold the figure with a tight grip without dropping it or damaging something while suclpting. After I mount it, I place a thin layer of putty around the frames arms, legs and head, to give it a “primer” if you will of putty. If you do not do this the putty will be cut by the wire armature as you sculpt on it leaving very unpleasant shapes and a frustrating time as well. 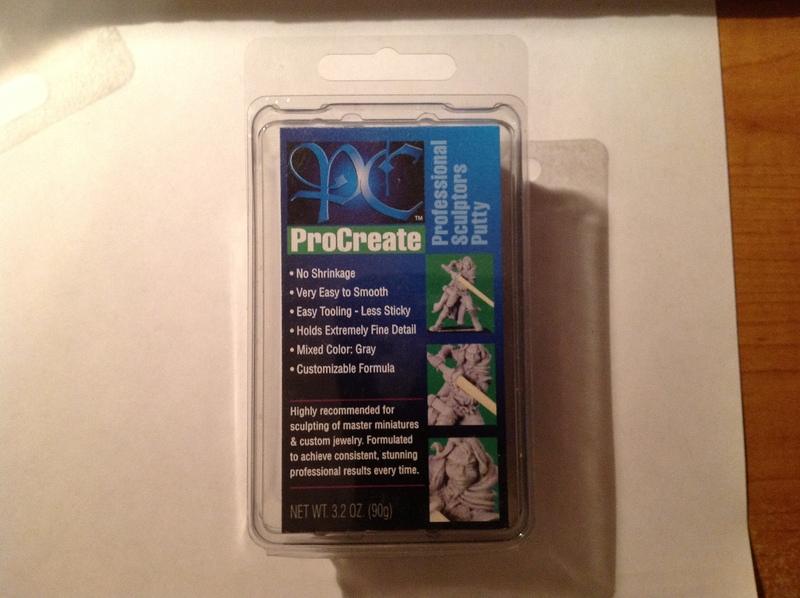 After I get it set where I want it, I place some procreate sculptors putty on the frame. 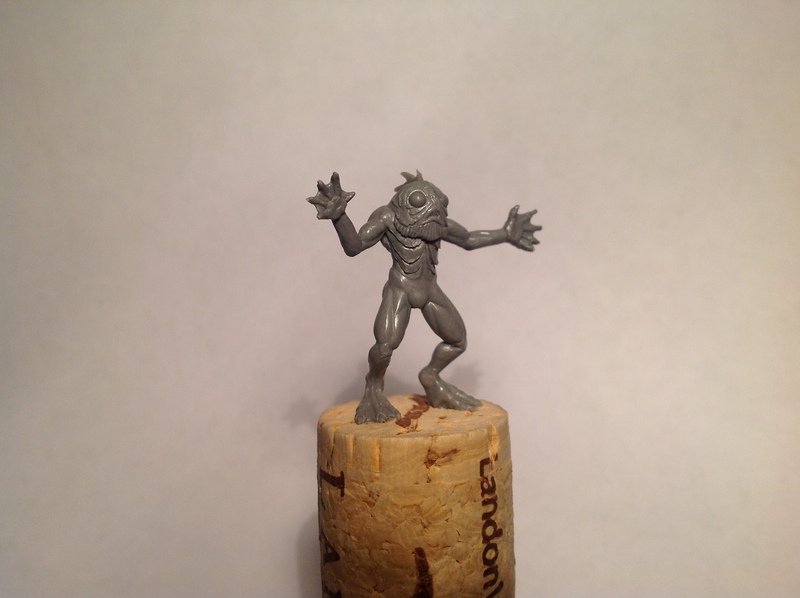 I use various tools, some bought and some which I’ve made myself, to start sculpting the figure. First I sculpted the left leg and let it cure. 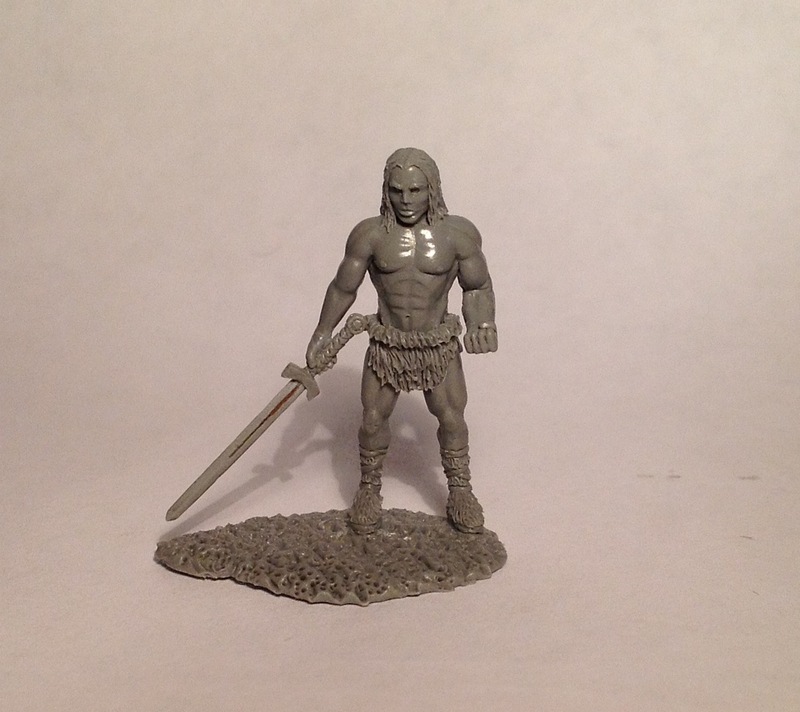 I did the same with the right, then the torso, and then the head. Working in sections between cure (hardening) time is key to keeping your figure from getting messed up in the sculpting process. If you’d like to know more, feel free to contact me.